Destiny has regained control of the WIAA D4 boys basketball final, going up 62-53 with 2:04 to go. Vitto Brown stops a 7-0 Nova run with a 3-pointer. 12-10 Badgers. Destiny is pulling away late and will win the Division 4 state title. Eagles lead Darlington 66-55 with :55.9 left. Destiny did not flinch when Darlington made its strong run. Credit the Eagles for competing with poise down the stretch. Destiny leads Darlington 66-55 with less than a minute to go. 11-2 run for the Eagles. Terrance Banyard (6-6) with a wind-up windmill dunk to put the capper on Destiny's state-title triumph. Yikes. 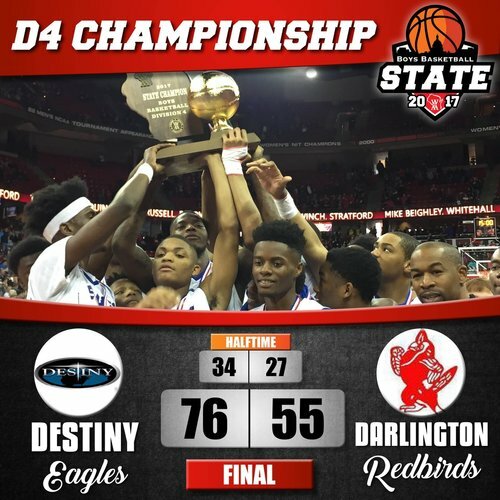 Final: Destiny 76, Darlington 55. 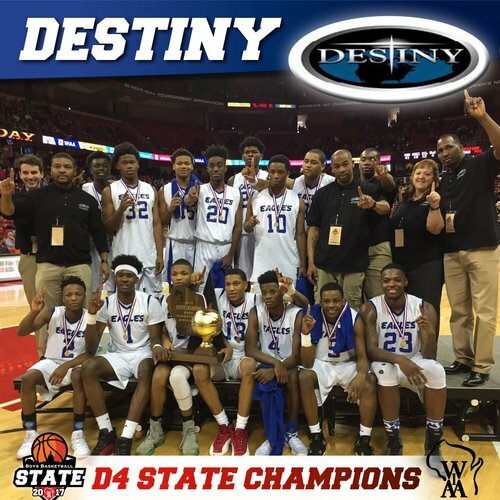 Destiny Eagles from northwest side of Milwaukee are Division 4 state champions. Destiny led 55-53. Destiny wins 76-55 over Darlington in the Division 4 state final. QU has the ball with 17.6 left in the game. #muwbb trails 65-63. 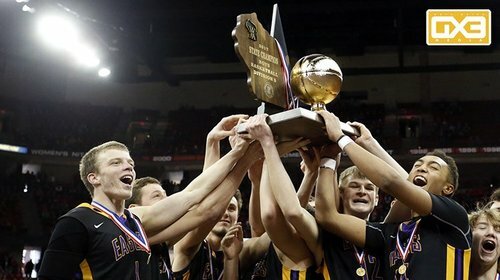 Former Darlington girls basketball coach and AD Deb Hauser of the WIAA presents the Redbirds w/ their runner-up trophy. Sarion McGee with the double-double for Destiny, 14pts & 14 reb. Terrance Banyard led the Eagles with 22pts and Diovante added another 14. Xavier up 30-23 on Prescott late in first half. Owen Hamilton (7-1) with 2 fouls for Prescott. Xavier has 10-0 lead over Prescott in points off turnovers. Hawks lead 34-25 as we start second half. Xavier's two guards -- Hunter Plamann (6-1) and Sam Ferris (5-11) -- are lethal together. Hawks lead Prescott, 45-31. Both Prescott and Xavier are gassed after lots of up and down action. Does Prescott have enough in the tank for a last run, down 52-41. Prescott' Owen Hamilton (7-1) now has 4 fouls. 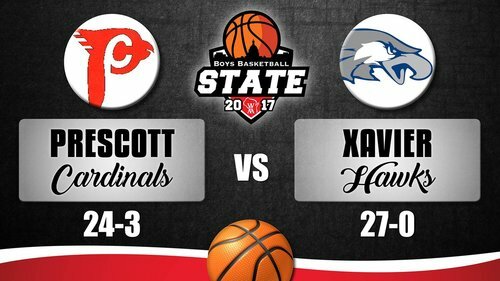 Xavier leads Prescott 54-41 with 9:16 left. 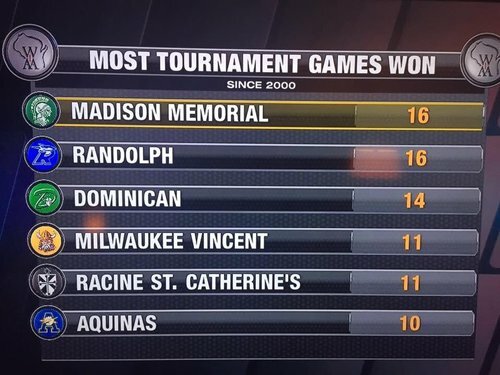 Xavier on the way to becoming the lone undefeated team in the state. Hawks (27-0) lead Prescott 69-43 in D3 title game.